In the middle of March 1807, whilst lunching with Jean-Baptiste Suard, one of the editors of Le Publiciste, Guizot learnt that a writer who worked for the newspaper, Pauline de Meulan, could no longer provide articles due to a personal domestic tragedy. He wrote to her anonymously, suggesting that he could replace her temporarily as he earned his living through writing. Eighteen articles were subsequently published in this way, from March 31. They met for the first time on April 13 and married five years later in the Church of the Oratory and the Madeleine Church, as Pauline was of Catholic origin. François Guizot said that she was, with his mother “the person to whom I owe, and from whom I have received, the most in this world”. It is true that Mme Guizot was only nine years older than her daughter-in-law. Pauline de Meulan was born in 1773 into an aristocratic military family of financiers, whose ethos was liberal and theist, the male members inheriting the title of count. In 1762, her father Charles, King’s councillor, then Receiver General of Finance for Paris, married Marguerite de Saint-Chamans, a woman of noble ancestry who frequented Julie de Lespinasse and the Necker and Condorcet families. Pauline grew up in the age of enlightenment. 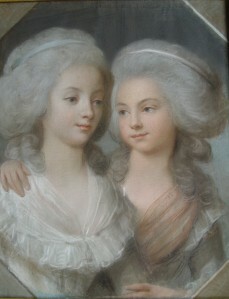 The Revolution and the death of Charles de Meulan in 1790 made the financial situation of the Countess and her daughters Pauline and Henriette extremely difficult. Pauline then became interested in philosophical works and in 1799, encouraged by Jean-Baptiste Suard of the Académie Française, began writing to provide for herself and her family. As a novelist and then a contributor to the Le Publiciste newspaper from 1801, she rapidly became known as a woman of character with a lively wit, moving in the best circles of traditional 18th century aristocracy. Her brothers Edouard and Théodore pursued successful careers, one in the Court of Auditors and the other in the army, her sister Henriette married Jacques Dillon, but she remained single. It is almost certain that she discovered love with Guizot, a sudden and total passion for a young man as different from her as possible. “People criticise the fact that the lady is older than he, they say that neither of them possess anything, but they love one another”, one of their contemporaries wrote. In fact, this unusual union was found to be as pleasing as it was intriguing. It was tenderness, passion and total unison for fifteen years. She wrote: “All that is best in me is associated with you”. For him, “you have remained the woman that you yourself were whilst blending your life with mine”. The many letters written in this vein were recopied by Guizot to form a book. After losing a son at birth in 1813, another son, François, was born in August 1815. Pauline took part in all the intellectual and political undertakings of her husband, providing him with far more than mere assistance, and she entertained his friends very cordially. She herself wrote children’s stories, including Ecolier and Raoul et Victor which were extremely successful, as well as educational and ethical works, the best known being Lettres de famille sur l’éducation. Her books fill fifteen columns of the catalogue of printed works in the Bibliothèque nationale library. In 1826, Pauline showed the first signs of tuberculosis. On August l, 1827 she entered the final stages of her suffering whilst her husband read Bossuet’s sermon on the immortality of the soul to her: “We were separated at the last possible moment; she prolonged her life almost to the tomb, I accompanied her there as far as it was possible to go”. Declaring himself heartbroken, he even began a posthumous correspondence with Pauline. He would soon find consolation from the Meulan family, to which he was greatly attached, but he would never forget her.